Carbo-nitrided carbon steel cutting blades. Not suitable for removing stainless steel olives. 22mm will not fit 3/4" imperial olives. Monument Olive Removing Tool 15mm is rated 4.2 out of 5 by 5. Rated 2 out of 5 by Joe the Plumber from It works, but you have to be very careful In theory this is a great tool. It makes removing copper and brass olives from 15mm pipes easy and if you're careful, in theory it's a real boon. It's certainly better than trying to use a junior hacksaw for the job. However, if you get it even slightly misaligned, it can very easily nick the pipe, at best raising a burr which you'll need to file off and at worst (as I found out to my cost on a pipe I'd frozen below the olive), make a tiny hole in it, with inevitable consequences. This is a particular problem if the pipe is old or has been distorted or crushed by the fitting being overtightened, which is quite common. I've found it's been very difficult to get it to work consistently on jobs over a few months of use (I've had mostly burrs, very few 'clean' removals) and as a result, it's been relegated to my garage for removing olives from pipes going into my scrap pile where the damage doesn't matter. It's a well made tool and should give many years of service if you look after it, but as a professional plumber, after the above incident, I've replaced mine with a Dickie Dyer 652001 olive splitter which works just as well, fits all domestic pipe sizes from 15mm upwards, and can't damage the pipe. Rated 5 out of 5 by westgarth from Worth the money to make the job easy! Had to remove some olives from copper pipework that was already installed. Didn't want to disturb the pipe run so this tool was well worth the money - even for a DIY'er! The compact jaw profile was easy to use in between floor joists. The cheaper option would have been to try and hacksaw them off but wouldn't have had the clearance for the blade stroke and also risk cutting into the connected pipework. 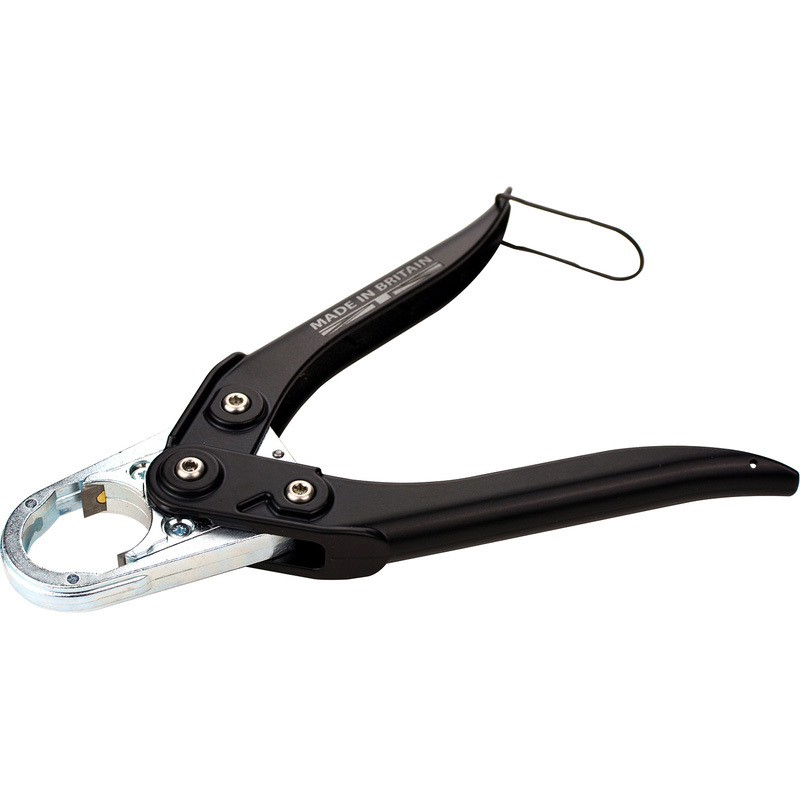 Rated 5 out of 5 by RG Tenor from Olive Cutter The tool is great for removing old olives. No stress or damage to pipe in the process. Rated 5 out of 5 by John42 from Does the job Always worried about removing the olive and damaging the pipe when changing rad valves. No more problems now I have this tool.